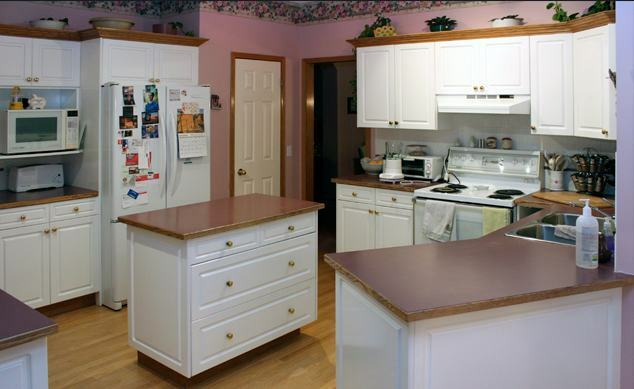 This “Cabinet Refacing” features new solid Cherry doors and drawer fronts. The mouldings, end gables and drawers have also been replaced to complete the new look. Notice how some of the upper cabinets have been extended to the ceiling and large cornices installed. 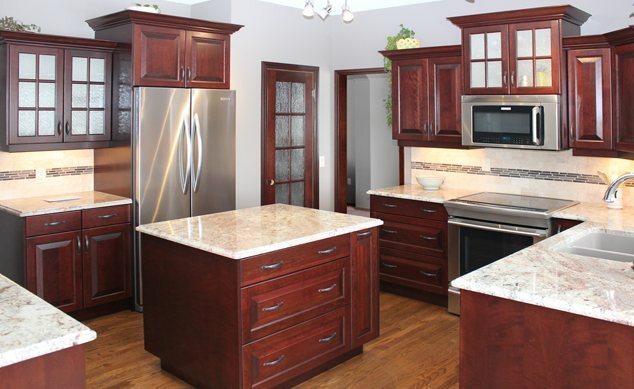 The Cabinet Doctor Ltd. is a family owned, custom woodworking shop specializing in Cabinet Refacing, Custom kitchens and Bathroom renovations. Since 1979 we have endeavored to help our customers create beautiful, high quality, projects, that add lasting value to their homes. Some of our projects are featured here, so have a look at our work and call us for an in-home consultation. We look forward to working with you. © 2019 The Cabinet Doctor. All rights reserved.